The HERO HEARTS release is just six days away! 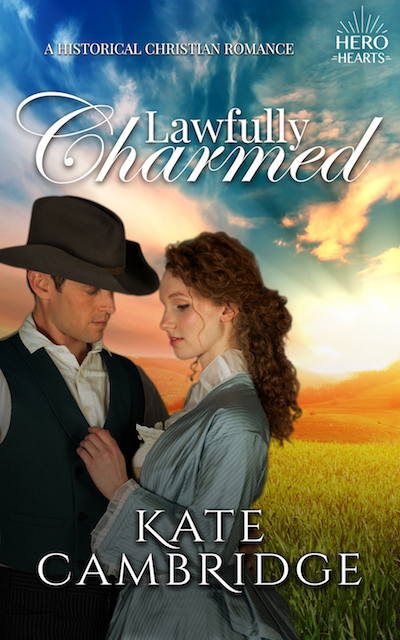 I’m thrilled to share my cover for my first book in this new, exciting series, LAWFULLY CHARMED. What is HERO HEARTS? It is a new multi-author series alternating between historical westerns and contemporary westerns featuring heroes that span multiple agencies and decades—even generations. The authors are Annie Boone, Hayley Wescott, and Kate Cambridge, and we will bring you captivating stories of romance and suspense between heroes — and the women who love them. HERO HEARTS is a world like no other; a world where Heroes are honored with unforgettable stories, characters, and love. Each book in the HERO HEARTS series is a standalone book, and you can read them in any order. The first series, a western historical romance will sheriffs and deputy sheriffs in the great State of Texas. The books will be released simultaneously on February 8, 2018, just in time for Valentines! Thereafter you can expect a book release every two to three weeks as a mini-series of sorts. Most series will feature all three authors, however, you may find additional series featuring even just two books. Join us for the Launch Party on Facebook where you can meet the authors, play some fun games, participate in giveaways and contests, and more! In honor of the independent spirit of the great State of Texas, we’re giving away a gift certificate to Chip and Joanna Gaines’ MAGNOLIA MARKET! Don’t miss a chance to win this! I’m thrilled to be working with these amazing women and authors. If you love western romance, and sweet stories of faith, hope, and love, I hope you will enjoy this series, and hope to see you at the Launch Party!